It's inevitable that some solar resellers will go out of business, well before the lifetime of your solar system. So what should you do? Is there cause to worry? If you're a solar orphan, read on for next steps. Australian solar energy software provider Solar Analytics evolves from a solar monitoring platform to a holistic Smart Home Energy Management System with the announcement of a $1.9 million grant from the Australian Federal Government. This enhanced software service will provide solar owners with even greater visibility over their energy data, and the ability to closely manage their energy usage, get more value from their system, and drive down their electricity costs. Solar Analytics Android App available now! 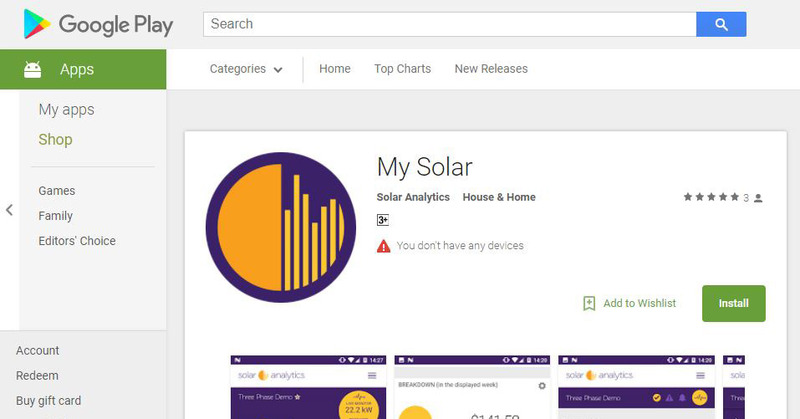 For all of of our Solar Analytics users with an Android mobile phone or tablet, we're excited to let you know that the My Solar app is now available for Android devices, so now you can access your dashboard through the app, as well as through your device browser.